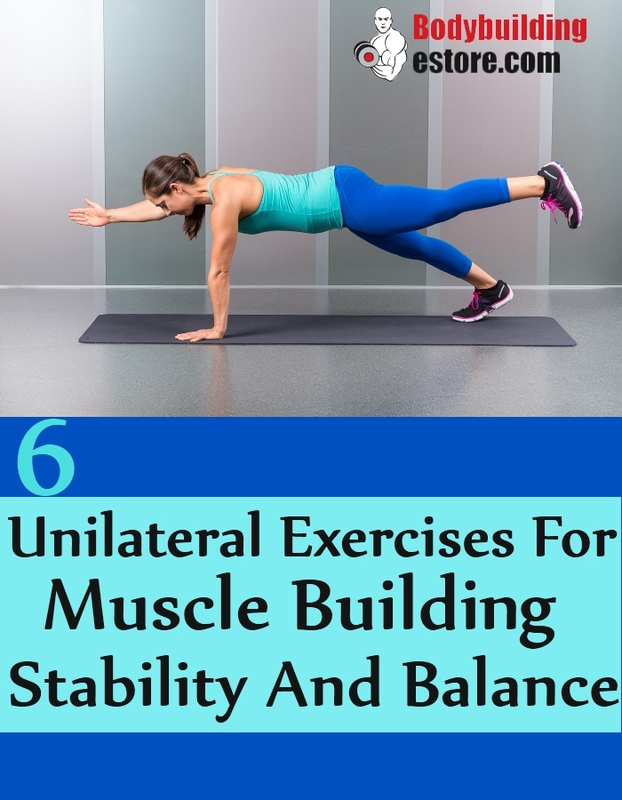 Unilateral exercises help in working out the deep muscles of the body, help in keeping the muscles engaged and work on building stability and balance. These exercises are highly recommended for athletes and weight lifters who need to focus on strengthening their core muscles. It is important to develop some crucial core muscles with such unilateral exercises, as it helps in functional strength and core development. These types of exercises are said to be superior to the bilateral exercises in more than one way and help in overall development of strength, stability, and balance. Include these specific exercises in your daily workout schedule. 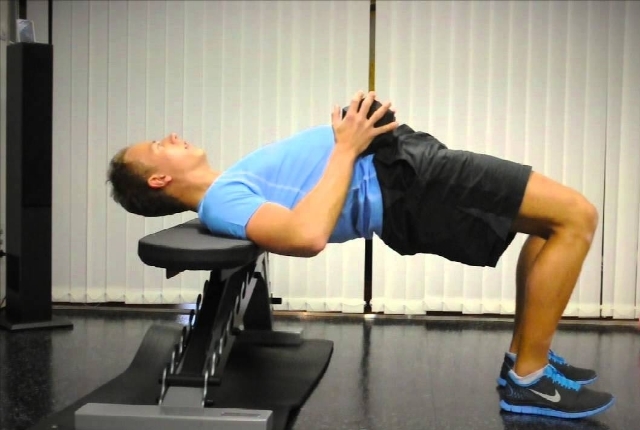 This is said to be the best exercise for upper back muscles. Start by standing at the side of the weight bench. You shall have a dumb bell in the right hand. Your palm will be facing inwards. You can then place the left knee and the left hand just on the top of a bench for complete support. You will allow the right arms to hang down and also a bit forward. You need to pull the abdominal muscles in and then slowly bend a bit forward, from the hips. Your back will be naturally arched in this position. It shall be a bit parallel to the floor. Your right knee shall be bent. You need to slowly tint the chest close to your chest, which will help in keeping the neck in a line with spine. You will pull up your right arm, so that the elbow easily points to the ceiling. Your upper arm, in this position shall be parallel to the floor. Your hand shall be outside the ribcage. You will slowly lower the weight. This is a common unilateral exercise which is best known for building stability and balance. It helps in cultivating immense core strength and burns fat away from the legs. You need to start the workout by extending the arms just in front of the body. You will balance on a leg, as you keep your opposite leg extended and straight. Your leg shall be in front and in a high position, as much as you are able to. Now, squat down as much as you can. You will keep your leg off the floor as much as you can. Your back shall be straight and the knee pointed in the same direction, as the foot. You can raise your body up and get back to the position where you started. The supporting leg shall be straight. You need to repeat and then switch legs. This is an effective arm workout, which strengthens the shoulders as well as arms. You need to hold a dumbbell. You can sit on a utility bench with a back support. You need to position the dumbbells, just on the top of the thighs. You can stand straight. Now, clean the dumbbells and bring them to the height of your shoulders. Your other hand shall be totally extended and by your side of the waist. You can also grab any fixed surface for the purpose. You need to rotate your wrist which will make your palm face forward. You will start this unilateral exercise in this position. 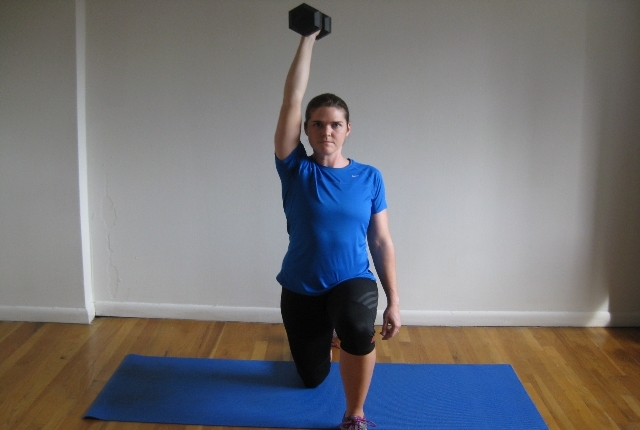 Slowly, as you exhale, you will be pushing the dumbbell up and extend the arms completely. Pause and get back to the position you started as you inhale. You need to repeat and then switch your arms. This is a great stability and arm strengthening workout. This exercise is perfect to exercise the lats and helps them workout through one range of motion. You need to position yourself in an inclined bench. Position yourself in front of a cable pulley. You can kneel sideways on a seat. Slowly lean your torso side against the top. You will be using an anchor arm, which will help in hooking to the top of the bench. You will be unlocking the shoulder blade in this position. Now, stretch up slowly and hold the handle. In the next step, you will be setting the shoulder down and then slowly pulling through the lateral muscles. Your elbows shall be just in line with the wrist. They shouldn’t be behind. As you finish the workout, you will be squeezing the laterals. You need to lower for at least 2 seconds and squeeze for a second. You do not have to set pin to the bottom of the stack. You can use high rep sets. This is a simple exercise which can be done by beginners too and in 5 minutes just. Stand straight, keeping your shoulders straight. Move your right arm up and your left knee up. Move your right arm downwards, so as to touch the left knee, which will be moving up. Your right arm and left knee shall both be moving towards each other to touch. Once they touch, straighten and repeat. You need to do 10 such repetitions for each side. This exercise shall workout your hips, abdominals, thigh muscles and your abdominal muscles. You will be able to build stability with your calf muscles and improve balancing.